Having devoured Behind Closed Doors, I have been eagerly awaiting the release of B.A.Paris' second novel and it hasn't disappointed one bit!! In this story the main focus is Cass and what happens to her after she sees a car pulled over on the side of a road one dark, stormy night. She pulls over briefly and sees a woman sitting inside whose features are blurred by the rain. When the woman doesn't get out of the car Cass drives off feeling that she may have been waiting for someone and didn't require her assistance. When Cass then wakes up the following morning to find that a woman has been brutally murdered and found in her car, the 'What ifs' take over in her mind and she slowly starts to fall apart. Could she have helped? Should she have helped? Did the murderer see her pull over? Could she have been another victim?? The fallout to the murder is brought closer to home as Cass knew the victim but she seems unable to let those around her in to the torment she is currently going through over the events of that night. This also seems to trigger episodes of severe memory loss for Cass and she starts forgetting appointments she has made, conversations she has had - and the prospect of early set dementia, that also affected her mother, plays heavily on her mind. As a reader I found Cass and her memory loss quite unsettling as you begin to question just exactly what she may, or may not, have seen that night. She also starts receiving silent phone calls which add another level of intrigue to the story - could she have been spotted that night and the murderer is doing this to unsettle her? The events of that night plague Cass throughout this novel and I found it to be a stunning page turner and another book I couldn't put down once I had started as it has that power of plot line that gets under your skin and won't let go of you! The cast of characters around Cass - her husband, work colleagues, best friend, and even the husband of the murder victim - all add to the story in fascinating ways and offer different glimpses into her state of mind and even the pills that the Doctor gives her do nothing to ease her constant state of terror and paranoia. 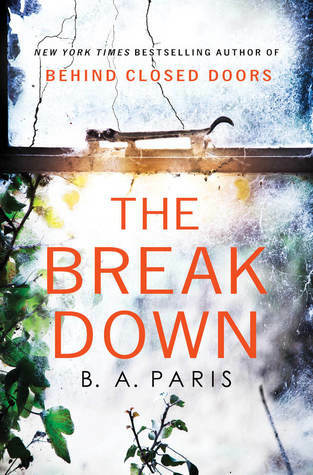 If you loved Behind Closed Doors then you are in for another treat with this one, and I highly recommend this to everyone who loves a powerful gripping thriller full of tension and unease!